Phuket, which is approximately the size of Singapore, is Thailand's largest island and situated off the west coast of Thailand in the Andaman Sea. The tropical climate with mild weather throughout the year and lovely sea beaches acts as magnet for the tourists. As a result the resort and hotel market in Phuket has always been on the boom. Thailand Tour and Its Top Tourist Attractions. Thailand is country that lies in the heart of south-east Asia and most part of the country is surrounded by water bodies. It is a country of varied natural scenery ranging from the mountains of Mae Hong Son to the limestone islands of the Andaman Sea. The enticing Thai culture can be found in sculpture and architecture, music, dance and cuisine of the country. Bangkok, the cultural and political capital of Thailand alone has over 400 temples to visit with Sri Mahamariamman Temple in Bangkok being the most prominent. Called the Land of Smiles, Thailand has emerged as a tourist hotspot owing to its scenic locations, rich culture, interesting history, mind-blowing nightlife and the delicious culinary fare. Bangkok, Phuket and Pattaya are the most popular tourist hotspots in Thailand. 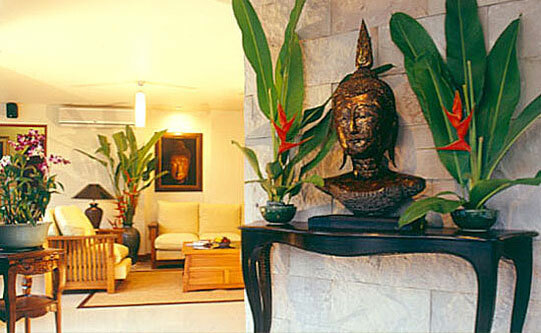 Phuket has consistently been one of the most visited parts of Thailand. Some people go to Phuket because of its fantastic beaches, while others enjoy the wild nightlife. Whether you are looking for a quiet, romantic getaway or something with a bit more spice, Phuket is a destination worth its salt. One has a diverse range of Phuket hotels and resorts to choose from, that have mushroomed as a result of Phuket's popularity.